Disclaimer: This is not a sponsored post. This is a collaboration between The Mommy Cooler and Andy Kearns. All opinions are my own and of the writer. This post may contain affiliate links. Millions of soldiers have served in active duty since September 11, 2001. More frequently than people in the civilian population, veterans often become entrepreneurs and start their own businesses after retiring from the military. According to the Small Business Administration, more than 2.4 million U.S. businesses are owned by veterans. That accounts for roughly 9 percent of all American companies. Furthermore, veteran entrepreneurs employ 5.8 million people. As with other business owners, many self-employed veterans require funding to start their companies. Small business loans for veterans are available through various government-backed programs, as well as private programs, traditional banks, and other financial institutions. The following are not necessarily veteran-specific programs, and they may not all be loan programs. What they are is a variety of program options that could be useful resources for veterans who want to start a business. Each has a few details about eligibility and application requirements. The Service-Disabled Veteran-Owned Small Business program is one that aims to award at least 3 percent of all federal contracting funds to service-disabled veteran-owned small businesses every year. Eligibility requirements include being a small business and having at least 51 percent of the company controlled by one or more service-disabled veterans. Other requirements include having at least one service-disabled veteran managing daily operations and making business decisions. The Veteran Small Business Program is operated by the Office of Small and Disadvantaged Business Utilization. It provides strategies and offers opportunities for veteran-owned small businesses. The Veterans Small Business Program helps advocate for veteran-owned firms and connect them with different contract and funding opportunities. The SBA 8(a) program isn’t just for veteran-owned businesses. Instead, it’s a federal program designed to help any business that’s small and viewed as disadvantaged be competitive at the federal level and gain an edge in government contracting. Your small business must be owned and controlled by individuals who are at least 51 percent socially and economically disadvantaged, the criteria for which is available on the program’s website. The Women-Owned Small Business Program (WOSB) isn’t exclusively for veterans but could be a helpful resource for women veterans. This is a federal contracting program, maintained under the SBA, that aims to award at least 5 percent of all federal contracting funds to women-owned small businesses annually. The contracts focus on women-owned small businesses in underrepresented industries. Requirements include having women manage day-to-day operations and make long-term decisions for the business. This is a Small Business Administration Loan program. Within this program are sub-categories including the Standard 7(a) Loan, the 7(a) Small Loan, and the SBA Express Loan. With SBA 7(a) loans, the maximum loan amount is $5 million, and the guaranteed maximum is 85 percent for loans up to $150,000 and 75 percent for loans of more than $150,000. The 7(a) Small Loan has a maximum loan amount of $350,000, and the maximum SBA guarantee is 85 percent for loans up to $150,000 and 75 percent for loans greater than $150,000. The SBA Express Loan has an expedited turnaround time. The SBA responds to these loan applications within 36 hours, and the maximum loan amount is $350,000. These loans are meant to provide working capital to keep up with obligations until operations return to normal. The purpose of this veteran loan program isn’t to cover lost income or profits. Under federal law, the SBA has to make a determination as to whether credit to accomplish full recovery would be available from non-government sources. Taxpayers subsidize military Reservist Economic Injury Loans. Currently, the interest rate is 4% and loan terms are available up to a maximum of 30 years. Loan amounts are limited to $2 million. 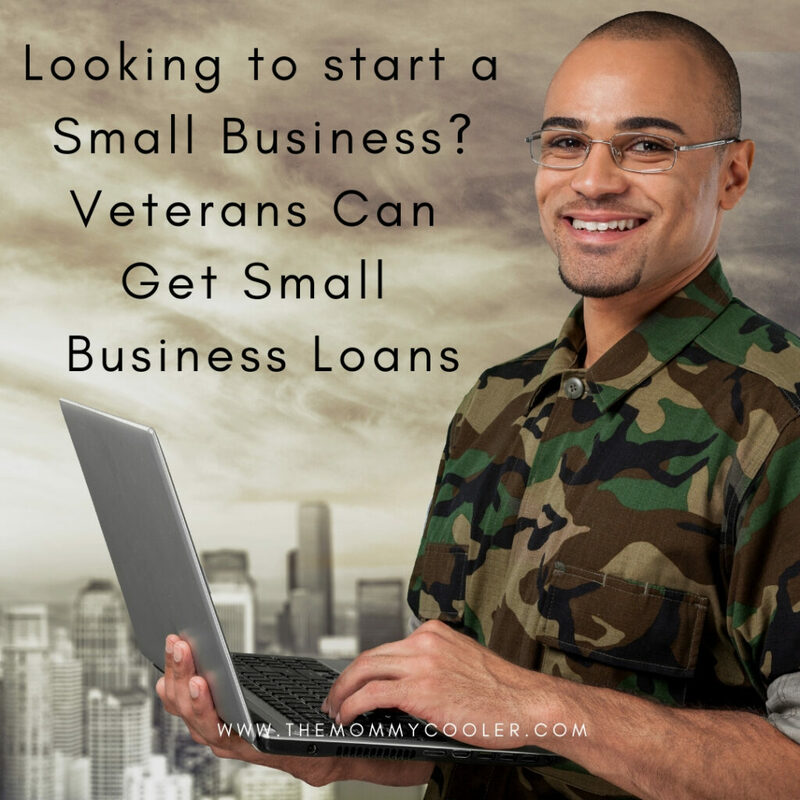 Here are some additional small business loans for veterans. The VBF provides capital to veterans as non-interest-bearing loans. Loans are designed to have extremely favorable terms for repayment, and all principal paid to the VBF is made available to other veteran entrepreneurs in the future. The VBF is supported by Syracuse University’s Burton Blatt Institute and other organizations. The VBF encourages veterans to apply if they have been working on funding a business but haven’t been able to get traditional bank financing due to a lack of equity. As part of the application process, veterans have to show evidence their bank loan would have been approved if it weren’t for a lack of equity. Loan terms are usually for five years or longer. The VBF typically requires applicants to supply at least 50 percent of the equity capital required. StreetShares is a company founded in 2013 designed to help fund new businesses. Founders Mark Rockefeller and Mickey Konson are both military veterans. They saw that a lot of banks at the time weren’t lending to small businesses, forcing business owners to turn to less-than-ideal funding sources. According to the company’s information, its mission is to provide digital financing options to America’s heroes. The Simple Term Loan is one option, with loans available from $2,000 to $100,000. These loans have terms from three to 36 months, and funds are deposited immediately. The Patriot Express Line of Credit features lines of credit from $5,000 to $100,000 and terms from three to 36 months. Interest is paid only on funds that are used. Contract Financing is funding based on future earnings. Up to $500,000 per contract is available, and there are both loans and lines of credit under this program. If you’re looking for any funding to help start or grow a business as a veteran, it’s a good idea to connect with the Veteran’s Business Outreach Center (VBOC). There are centers located nationwide that provide assistance related to business development. The VBOC may also have different grant program options it can provide information about. As well as providing loans to veterans, the StreetShares Foundation also offers grants. The organization gives out three awards every month to eligible veterans as well as reservists, active-duty members of the military, and military spouse small business owners. The awards total $10,000 each time they’re given out. Awarding of the grants is based on the strength of the business idea and other relevant factors. VetFran is an organization that works to provide franchise opportunities for veterans and their spouses. Veterans can receive discounts on the cost of purchasing a franchise; in some cases, discounts are available for equipment purchases and other startup costs, too. For veterans who are preparing to get funding for their small business, the initial steps they take should involve contacting the resources they have available to them. For example, contacting the VA can be a good starting point for a veteran. The VA can explain more about the government-based loans that are available and any grants they may be eligible for, and can also help them prepare for business ownership in general. A veteran entrepreneur is going to need to have a business plan, and there are VA and government programs that can help them learn more about that. For example, the Veteran-Owned Small Business Program was mentioned above; this is a great resource that helps with contracting and also can link veterans with courses and training that help them learn more about starting a business and getting funding. Once a veteran has connected with the available federal resources and has created a business plan, they can then start exploring sources of funding. It’s generally better to start with “free” money options first, such as grants, since they don’t need to be repaid. Once a veteran has looked at all of the possible sources of “free” money available to them, they can think about other types of loans, whether that be from a bank or a non-traditional lender like StreetShares. Note that many loans will require you to have a good credit score – either personally or for your business. Along with commercial lenders and the Small Business Administration, a veteran business owner might consider venture capitalists and angel investors. These investors may target veteran-owned businesses specifically, although they will want to see the potential risk and return before investing. There are plenty of programs available from the federal government, including the VA and the SBA, that offer funding to new veteran entrepreneurs. Beyond those programs, there are other veteran business loans and grants that are available. Veterans tend to make excellent entrepreneurs thanks to their background and training, and connecting with the right sources of funding is essential. 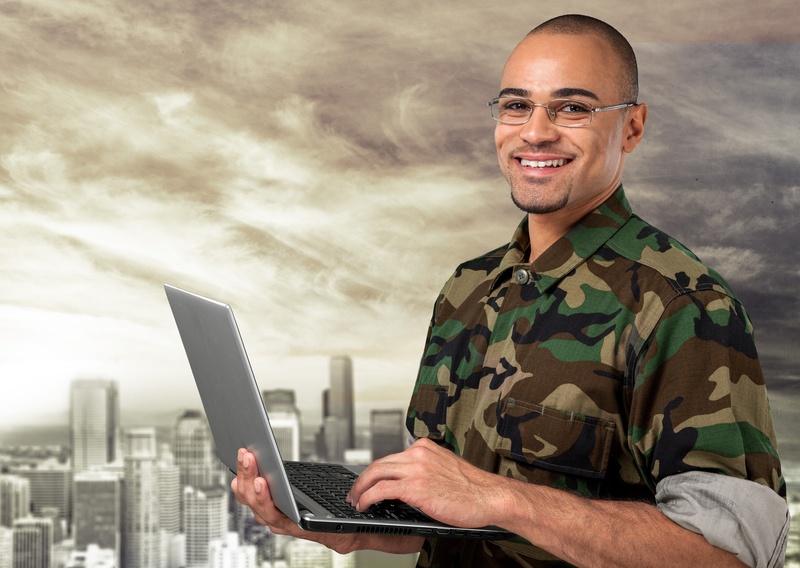 Owning a business is something many veterans aspire to after they leave active-duty service. There are governmental and private programs as well as small business loans for veterans that can help them become entrepreneurs. Start The Opening of Busch Gardens Season with Free Beer, Family Fun & Fireworks! Get Ready: Summer Is Already Hot At Busch Gardens!